Welcome home to this fabulous two story contemporary Village Place condo. Truly, there's nothing NOT to love in this home. 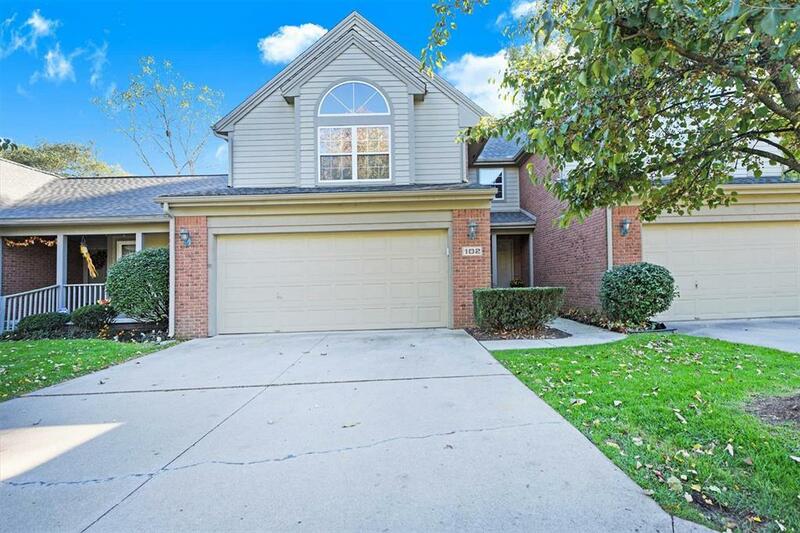 This place has been meticulously maintained, and is move in ready. Beautiful 3-4-5 Chelsea Plank hardwood floors in the living room where you'll find a beautiful gas fireplace and hearth. Kitchen offers very functional work space with stainless refrigerator and dishwasher, and breakfast bar seating. Southern facing deck is cozy and private. Three large bedrooms on the 2nd level, with the master suite featuring built in shelving on the sides of the palladium window, large WIC and updated bath with Jacuzzi tub. The lower level is a full finished walkout adding an enormous additional living space and a third full bath. Perfect location just off Main Street. You won't be disappointed with this home.